Check out the latest video from Drift Alliance, Falken Tires, and Vaughn Gittin, Jr as he tests out his brand new competition vehicle! 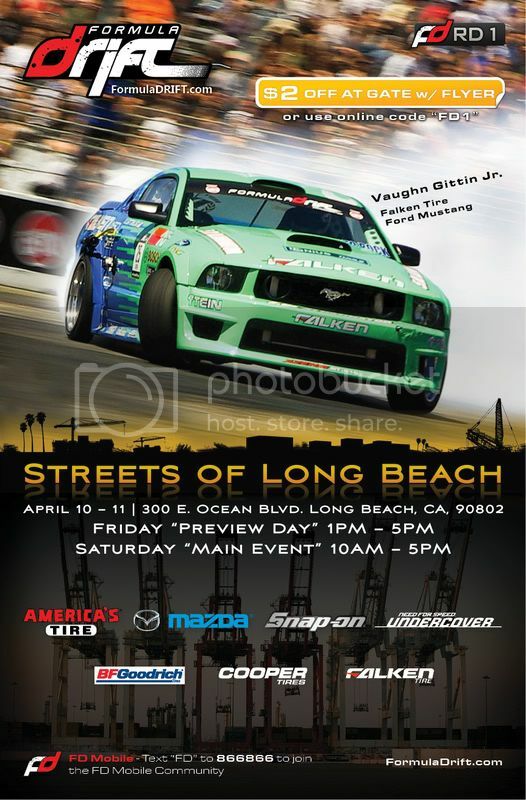 See Vaughn and the Falken Tires Mustang GT this April 10-11 at Round 1: Streets of Long Beach. Falken Tire Ford Racing 2010 Mustang from Drift Alliance Productions on Vimeo. 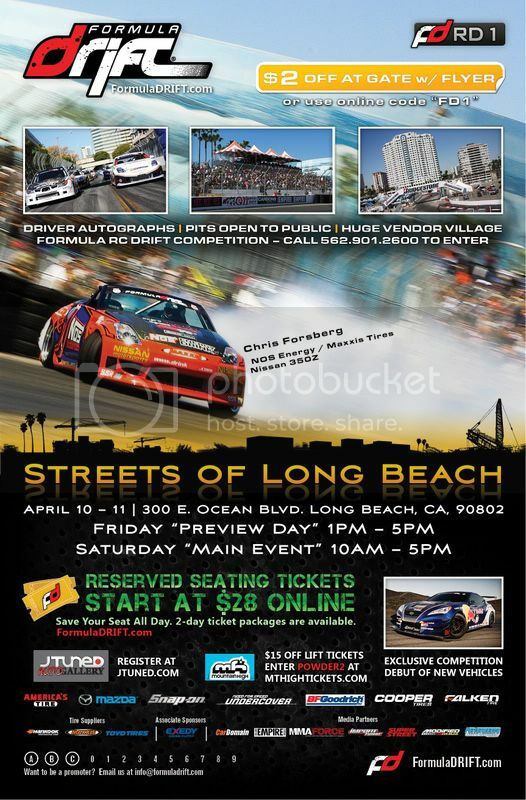 Online tickets for Round 1: Streets of Long Beach go on sale this Thursday, February 26! Save money and purchase your tickets in advance online. Visit FormulaDrift.com on Thursday.